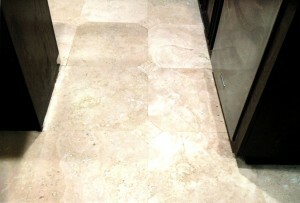 This is an "after" shot of a travertine cleaning job we did in Laguna Niguel. Call (800) 408-2254 to be added to our long list of overjoyed customers! 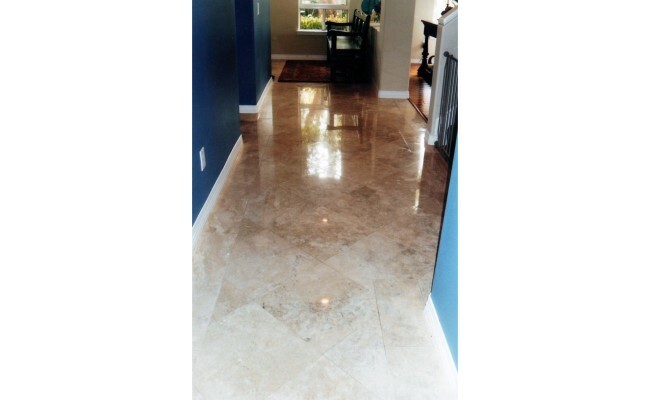 Travertine is a beautiful stone used in flooring, wall covering (cladding) and countertops. It is a type of limestone that is formed by mineral springs, especially hot springs. It can be found in white, tan, cream, and even rust colored varieties and is a common building material chosen when people remodel their kitchens, bathrooms, dining and living rooms. 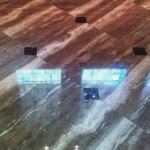 It is generally available pre-cut in all the standard tile sizes. 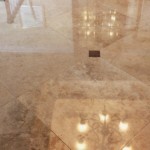 While travertine can be polished to a high-gloss finish, one of it's features are the pitted holes and troughs that can appear in the surface of the stone normally. These pits and troughs can collect dust, dirt or liquids over time. 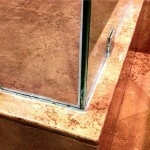 This will gradually darken the appearance of the stone. 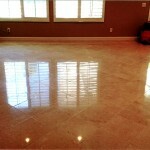 At Vaporlux we have become experts in the cleaning, polishing and restoration of all types of travertine. Over the years we have developed a very refined set of tools and techniques to clean and protect your floors, walls and countertops. 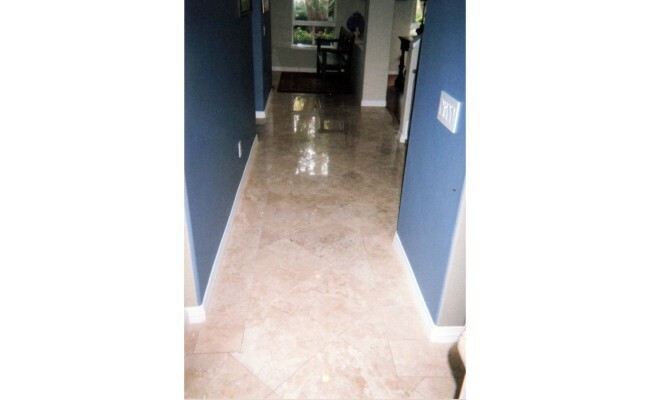 Because of the makeup of travertine, chemicals must be used in only the most careful and judicious way. Care must be taken in the selection and application of sealants as well. We have cleaned, polished and restored 100's of thousands of square feet of travertine and present you with a few examples here. 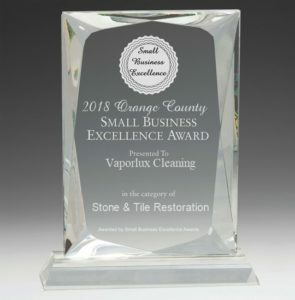 Give us a call for a free estimate - (800) 408-2254 or 714.330.0973 to set up an appointment. 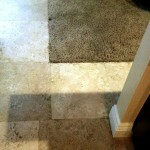 If requested, we can do a test cleaning on an out of the way spot to demonstrate the effectiveness of our combined mechanical and chemical techniques before we starting cleaning your travertine.